The fundamental reason is obviously to earn more money, but like anything, people do have an inner belief to truly improve. 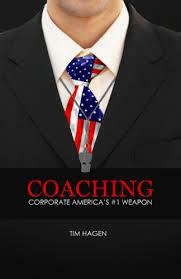 The reason sales reps want sales coaching is most salespeople don't like to be managed, and sales coaching is about positioning a salesperson to not only have success, but to participate in truly improving their ability and careers. Sales management alone cannot achieve this. During this webcast, we will discuss five fundamental reasons of why Sales Reps want sales coaching, specifically to where they personally benefit.